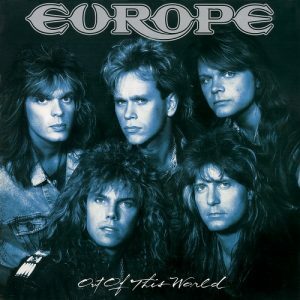 Europe hit their creative and commercial peak in 1986 with The Final Countdown. Two years later, Out Of This World was happy to polish up the very same template, creating a shiny rock/metal lite beast that coasts comfortably on the success of the band’s near perfect AOR writing, production and arrangement combination. Just because you’re joining the dots doesn’t mean you can’t paint a pretty picture. This was the year of Strangeways’ Native Son, Journey’s Raised On Radio, Survivor’s Vital Signs and not least, Foreigner’s 4. Any one of the first four tracks on Out Of This World could have appeared on any one of those four albums, and shone. But the truly standout track is ‘Coast To Coast’. Trite, derivative but undeniably effective, it crests a swell of lighter waving, rafter raising balladry. Joey Tempest’s keening vocal and insiduously catchy songwriting matches perfectly with John Norum’s muscular, yet lyrical and increasingly inventive axework. It was a match made in sunny Uppland Vasby. Peak formula. And indeed any one of the five could have been the lead track on Out Of This World. They are all unashamedly commercial tilts at the World’s Rock Charts, and successfully propelled the album to best selling positions in Scandinavia, Japan, Australia and indeed, the USA. As per usual with Rock Candy, the remaster is packaged with a deluxe, full colour booklet, new interviews and again, as per usual, the Rock Candy Techs have beefed up the sonics, adding clarity and heft to Ron Nevison’s already sound production. Reviewed by Brian McGowan and reissued by Rock Candy Records November 2018.